The Yorkshire & Humber Academic Health Science Network (AHSN) has supported Tookie Limited with the development of its apparel for paediatric oncology patients and its subsequent development for application in other clinical areas. The Tookie Vest for Oncology is a CE marked medical device for children receiving cancer treatment through Central Venous Catheter (CVC) lines. The Tookie Vest is engineered to prevent the accidental removal of the central line. Mr Ross Craigie, Consultant Paediatric Surgeon, Royal Manchester Children’s Hospital and Chief Investigator. The Tookie Vest is designed to maintain integrity of the central line, to prevent inadvertent fall outs by holding the central line in place inside a pouch attached to the vest. The vest has a back closure mechanism, which keeps it secure and prevents removal by the child, while allowing continuous access by medical staff. The vest can be used at night time; it is dermatologically tested; non-flammable and fully washable. The Tookie Vest is designed primarily for use during the transition from hospital into the home and encourages greater freedom of movement for the child. Tookie Limited, based at the Innovation Hub at Liverpool Alder Hey Children’s Hospital, is a team of medical innovators focused upon identifying and responding to un-met needs that will enable patients and their families to lead #Alifemorenormal. This is the primary ethos of Tookie’s work. Over 10,000 children are being treated for cancer in the UK and approximately £19 million is spent each year on treating central line infection. A large proportion of this could be avoided with one simple solution – a Tookie Vest. Prior to the Tookie Vest, there were no products available to NHS patients designed to ensure the safety and comfort of central lines. The Tookie Vest is designed to provide maximum safety while providing vital protection over the patient’s body and at the exit site of the CVC. The Vest helps avoid any unnecessary complications, such as infection, which could arise as a result of the central line falling out. In addition to central line re-instatement being potentially hazardous and unpleasant for the child, it also causes anxiety for parents and carers, in addition to which each line re-instatement costs the NHS around £3,000 (before the onset of any infection). Tookie Limited was initially introduced to the Yorkshire & Humber AHSN through TITCH (Technology and Innovation Transforming Child Health), with whom Tookie was collaborating on the development of the Tookie Vest for paediatric oncology patients. Tookie applied for funding through the Yorkshire & Humber AHSN ‘Proof of Concept Programme’ in December 2016; this application outlined in detail the cost and patient safety benefits of the Tookie product, resulting in Tookie being awarded £15,000 in development funding. This grant enabled Tookie to fund specialist support, consult with experts and secure access to appropriate clinical advice and guidance to ensure Tookie followed best practice – vital to the underpinning of Tookie’s product development. Devices for Dignity (D4D), one of the eight national Healthcare Technology Co-operatives, supported Tookie in the identification of potential clinical collaborators for this project. D4D provided regulatory early stage advice, support on technical product understanding and undertook a number of focus groups with children and families.Tookie also received CE Marking mentoring and support from Dr Avril McCarthy at D4D, which led to the vest being CE marked in July 2016. The funding also meant access to a team of professional industrial designers for Tookie. The team at Lucid Innovation drew on their design, manufacturing and commercial know-how to produce a 3-D imagery of the product. Furthermore, the design work undertaken with the grant from the Yorkshire & Humber AHSN contributed to Tookie Limited being able to adapt the Tookie Vest for oncology for uses in other clinical areas. The Tookie Vest for adult renal patients undergoing Haemodialysis (HD) through a CVC has been designed with clinical and patient input from City Hospitals Sunderland NHS Trust. 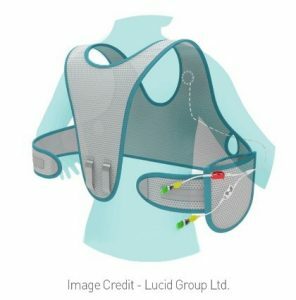 Focus groups took place between May 2016 and March 2017, during which a number of prototypes of the vest were developed and assessed by the research team. The final design, which is currently being CE marked, will now be subject of a multi-centre evaluation led by City Hospitals Sunderland NHS Trust, with Dr. Saeed Ahmed as Chief Investigator. Dr Saeed Ahmed, Consultant Interventional Nephrologist, City Hospital Sunderland Foundation Trust and Tookie Chief Investigator for Renal. (Dr Ahmed sits on the Vascular Access Society of Britain and Ireland Executive). The impact of this regional collaboration will be used to inform The National Institute for Health and Care Excellence (NICE) guidelines. Most importantly, a multicentre research study will allow all suitable patients in the region equity of access to the new Tookie Vest. It is hoped that this will positively impact the patient experience and enhance patients’ quality of life. The study will also be put forward for National Institute of Health Research (NIHR) portfolio adoption. Renal patient Dorothy, a Tookie Renal Patient Ambassador. In July 2017, the first focus group meeting to investigate and design through PPI the Tookie Vest for Paediatric Renal patients is being led by Dr Yinchent Tse and Dr Heather Lambert, both Consultant Paediatric Nephrologist Surgeon’s at the Great Northern Children’s Hospital in Newcastle. At the Sheffield Children’s Hospital, in July, the first focus group and PPI is being held to investigate the un-met needs of respiratory patients, with Professor Dr. Heather Elphick as the Chief Investigator. Design support is being provided by the Advanced Well Being Research Centre (AWRC) in Sheffield, with the event facilitated by D4D and TITCH. This range of adaptations will create a product portfolio for Tookie, which reflects and underpins Tookie’s brand of ‘#ALifeMoreNormal’. Limited has filed for IP nationally in USA and China – the design patent for China has been granted. Tookie is a member of the IP 100 club, where companies are listed, selected and ranked based upon five categories within a company’s IP strategy: brand, software, patents, trade secrets and critical databases. Tookie is now part of an exclusive IP rich community, enabling broader business interaction and promotion of the Tookie brand #ALifeMoreNormal. Since work that was undertaken with the initial funding, Tookie has secured the CE mark for Tookie Vest for paediatric oncology, developed variations of the vest to be used in other clinical areas, commenced two evaluation studies in leading trusts and accessed international markets. Tookie has keen interest from NHS commissioners towards NHS adoption and is working with the NHS Supply Chain and Shared Business Services for inclusion on NHS Procurement Frameworks. The Tookie Vest was showcased at Innovate 2016. In November 2016, Tookie exhibited at MEDICA in Germany, following which Tookie is now in discussions with numerous potential distributors across a variety of countries and continents. Tookie is also participating in the University of Lancashire China Catalyst Programme, which provides Tookie with dedicated support (worth over £70k) to plan and develop an international collaborative R&D and commercialisation project with a China partner. Domain 5 – Treating and caring for people in a safe environment; and protecting them from avoidable harm. It is anticipated that the evaluations being undertaken at Royal Manchester Children’s Hospital and at City Hospitals Sunderland NHS Trust will demonstrate the clinical effectiveness of the Tookie Vest, both in paediatric oncology and adult renal care. There are already undoubted, evident benefits in terms of patient comfort, ease of movement and also parent /carer confidence. Tookie limited is developing a Tookie Smart Vest ‘proof of concept’ using the Tookie Vest for Oncology as the host platform, with international technical collaborators supporting the development from prototype to product commercialisation at a clinical test bed. The Point of Care market is increasingly reliant on embedded intelligent sensors within objects and devices to collect, analyse, send and utilise data in a meaningful way; Tookie envisage biosensor technology being applicable for use in all Tookie products, to capture and send patient vital information via Wi-Fi to a smartphone and / or through a cloud platform to the hospital care team. The Tookie Smart Vest will facilitate the use of data generated by patients in an easy-to-interpret format that anticipates problems before they arise, thereby improving health, providing improved self-care and patient monitoring and reduction in costs across the healthcare landscape. Tookie is supported at Alder Hey Children’s Hospital by Mr Iain Hennessey, Consultant Paediatric Surgeon and Clinical Director of Innovation. Mr. Hennessey has provided Tookie Limited with offices at the hospital’s Innovation Hub, along with assistance and support for product development. 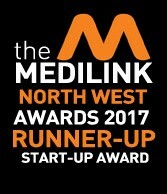 The Commercial Director of Tookie Limited, Mr Stephen Tooke said; “We are most grateful to the team at the Yorkshire & Humber AHSN, who continuously support Tookie, not just with the funding that enabled Tookie to accelerate at an important stage of our development, but the wonderful subsequent support and mentoring, which has greatly assisted Tookie to navigate the NHS Adoption Pathway”.